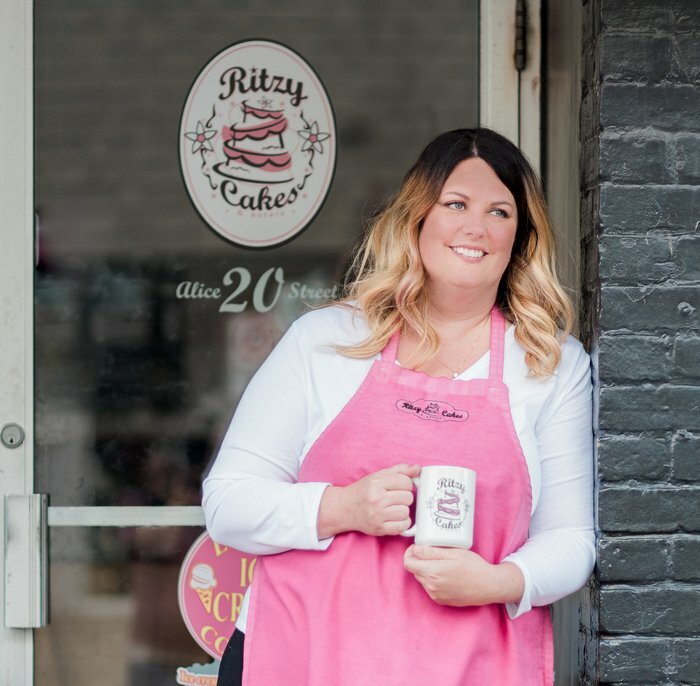 Ritzy Cakes & Eatery was established in 2011, after a home hobby started to turn into something more, and has been the hotspot in the heart of Waterford ever since. R.C. & E. is a great place to meet people for a breakfast, a fabulous sandwich with homemade daily soups, awesome desserts, or just a great cup of coffee. A key business partner of this great community. Don’t let the name fool you, Ritzy Cakes is a lot more than just cakes! Enjoy your choice of either a plain Belgian Waffle with Maple Syrup or a Strawberry Deluxe waffle topped with real strawberries and whipped cream. 3 pieces of French toast served with your choice of either Blueberry-lemon or Apple-cinnamon compote and topped with whipped cream. Created using fresh and local ingredients!